The Junior Women’s Club of Wolcott, Inc. was established March 28, 1966, incorporated May 15, 1970, and is a non-profit 501c non-partisan, non-sectarian and non-political organization for the advancement and promotion of education, public health and welfare, social and civic interests and the arts. The Junior Women’s Club of Wolcott Inc. is a member of Connecticut Junior Women Inc., a volunteer organization of women with diverse talents who donate time, financial and moral support for the betterment of their local, state, national and global communities while providing opportunities for personal growth and leadership. The local club which meets monthly has 18 members who are devoted to volunteer community service. On-going projects include support to local food and fuel banks, women’s shelters, adopted classrooms, Veterans and scholarship awards of $2,400. Annually, The Junior Women’s Club sponsors an American Red Cross Bloodmobile; the Roseanne Barratt Community Service Award for Women and Youth and Teen Volunteer Community Service Awards; Spelling Bee and UNICEF. The club is proud to sponsor the Wolcott Juniorette Club, Little Miss and Little Mister Wolcott and co-sponsor the Miss Wolcott Scholarship Pageant. Some of the clubs major projects in the past include funding for the Wolcott Volunteer Ambulance, Old Stone School, the Children’s Room at the Library, playground at Peterson Park, Veterans Monument on the Green and coordination of the Lighting around the Green. The Junior Women have raised money and awareness for Special Wishes, Connecticut Children’s Hospital Cranio-Facial Department, Bridgeport Hospital Burn Center, Time for Life and most recently Covenant to Care for Children. The club has adopted a social worker and is committed to help children/families in need by providing backpacks loaded with school supplies, stockings full of toys, birthday parties and comfort items. The Junior Women’s Club of Wolcott, Inc. is able to accomplish so much through the cooperation and generosity of individuals, groups, businesses, churches and the other service organizations in town. We thank the town for supporting our fundraisers of present and past: Friends and Neighbors, Little Miss/Mister Wolcott, sale of town prints and cookbooks, golf tournaments and Touch-A-Truck. 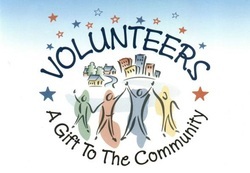 We are fortunate to be active partners in a community which values volunteerism.